Happy belated New Year! Thanks to each of you who read my inaugural column last month. Conversing with so many people who posted comments or who contacted me via email was a welcome distraction from my Ph.D. defence on December 12, 2018, subsequent revisions and marking undergraduate exams. 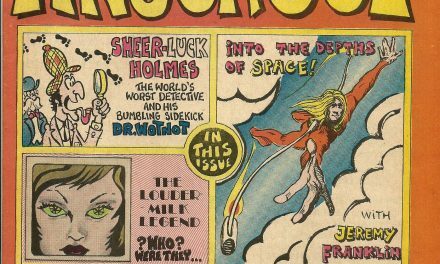 I am pleased to announce that Comic Book Daily now features two doctors writing about the history of Canadian comics. The holidays offered me a welcome respite and enabled me to “recharge my batteries.” I am taking a much-needed break from academia to start the year, but my comic work continues. My goal this month is to build on last month’s attempt to set the stage. I want to begin with talking about Silver Age collecting strains. 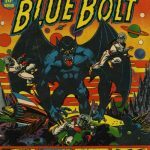 What Are the Silver Age Collecting Strains? The recent publication of Ivan Kocmarek’s WECA Price Guide and Heroes of the Homefront are fantastic achievements that are the culmination of years of work. 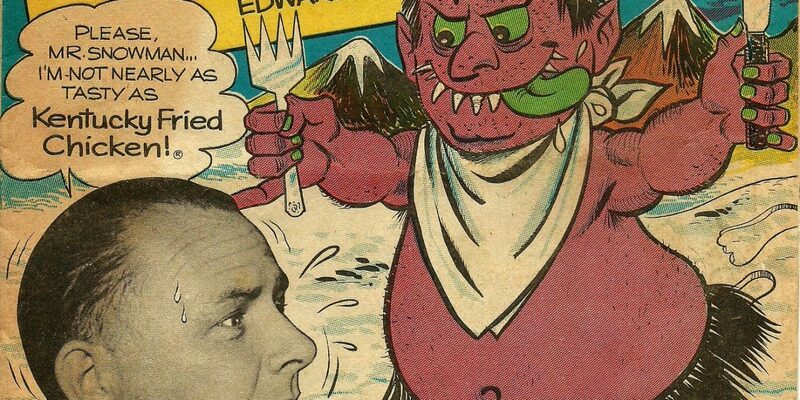 Thanks to Ivan’s blog and the work of members of the Whites Project, Canadian comic book collectors now have an incredible amount of information at their disposal when it comes to these gorgeous wartime comics. However, the frustration that I felt several years ago when I wanted to collect WECA is something shared by other collectors and enthusiasts who I have spoken with online or met at conventions in Atlantic Canada: these comics are either unavailable or too expensive for the average collector to purchase. People who have them are not selling them and people who want them cannot find them. It was not until I had an opportunity to sit down and read the WECA guide that I finally had a way to articulate my feelings about my frustrations as a fledgling/wannabee WECA collector. Walter Durajlija’s essay in the book captures my frustrations almost perfectly. In the essay, he talks about different collecting strains amongst comic collectors and he describes WECA collecting as one such strain. However, the description that he paints of WECA collecting and its future is not exactly rosy (though I interpret it as cautiously optimistic). One of the problems with the WECA strain is that there are just not enough WECA books to go around, which prevents new blood from entering the collecting community. With few opportunities to purchase WECA books, fledgling collectors get frustrated and move on to other collecting strains. When I read his essay, I almost felt as though it was directed towards me specifically. It was almost too perfect an analysis. Of course, it was not really directed towards me, as Walter and I were only introduced to each other after the essay’s publication. With Walter’s conceptualization fresh in my mind, I started to think of WECA and FECA as entirely distinct collecting strains. With the WECA guide now on the market, should FECA be the logical next step for a collector or researcher? My answer is a strong “no.” Do not get me wrong. I like FECA books and I like collecting FECA. I have well over one hundred of these predominantly American reprints in my collection. There are many gaps in the community’s collective FECA knowledge and I recently had a conversation with another collector regarding the number of FECA books published. No one knows for sure, but he argued that there may be as many as 7000 different FECA books. Without further research, there is no way to know how accurate that this estimate is. However, for me, cataloguing that many books—the majority of which are reprints of American comics—does not have the same appeal as looking at actual Canadian content. This is why I suggest that the Silver Age is the logical solution for collectors who feel that they have missed out on WECA, as well as the logical next step for people interested in researching Canadian comics who hope to build on the work of both John Bell and Ivan Kocmarek. Of course, I must tip my hat to Ivan for recently starting to dabble in FECA research here on Comic Book Daily! Within each of these strains, there are comics that are extremely common and comics that are almost impossible to find. For example, most readers with likely be familiar with some of Canada’s larger independent publishers from the 1970s and 1980s that had national distribution. Comics produced by Aardvark-Vanaheim, Aircel, Matrix and Vortex are generally not difficult to find and tend to be inexpensive, but they can be extremely fun to collect because of generally great creative projects that offer a wide array of genres and forms. Nevertheless, a collector of these comics will find it difficult to procure certain keys, with an authentic Cerebus # 1 being the most noteworthy because of its cost. The book is hard to find, but is not exactly rare. 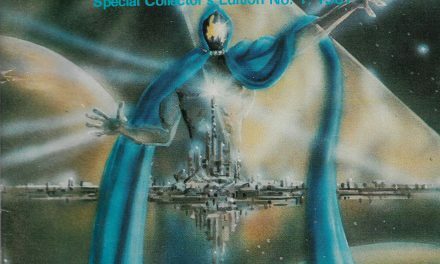 On the other hand, people who collect Aircel comics will have a very difficult time finding Barry Blair’s earlier, self-published work (under the name “Nightwynd”) such as the original fifteen issue ElfLord series, the original issues of Samurai and some of his lesser-known publications. These comics are quite scarce, with low print runs, and collectors may have to wait several years to find examples for sale. Indeed, there are a handful of Nightwynd comics that I have yet to see examples of (but know exist because of our research). This brings me to the second point that also stems from ideas articulated by Walter. Ivan has mentioned this in his blog in the past and Walter reiterates this in his essay in the WECA guide: the utility of ownership. This is, essentially, the idea that collectors will pay higher than expected prices to procure a rare book because said collector may not know when another example will come available. When Ivan and Walter have discussed this, it has been squarely directed towards explaining why certain WECA books end up going for higher than expected prices. However, I think this can apply to any collecting strain of comic books (and probably other collectibles hobbies more generally depending on the context). In my interpretation of this idea, the elements of supply and demand play a significant role in whether or not the utility of ownership may be at work. As such, I would not expect this to apply to the comics from the 1980s that were nationally distributed and had large print runs: they are almost always available. Rather, this applies to the comics that people such as Dan, Victor and I have spent years trying to ferret out, but have never seen examples of. Ultimately, there are many comics from the Canadian Silver Age that this idea may apply to because of low supply and increasing demand for Canadian comics more generally. 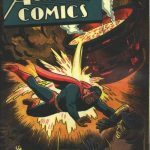 There are numerous books from the Canadian Silver Age that are so rare that they almost never come up for sale and some of these books are starting to gain traction in the marketplace. The reasons are likely multiple and I do not have enough information to provide a concrete answer that explains this in each case. However, I believe that the utility of ownership has something to do with this. 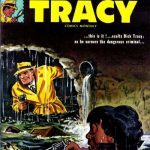 In 2018 there were several rare Canadian Silver Age comics that achieved surprising prices. In January, Comic Canada # 1 and Comicanada # 2 appeared on eBay for the first (and only) time since we started cataloguing these books. Dan, Victor and I all expected these to fly under the radar because we assumed that few people knew what they were. 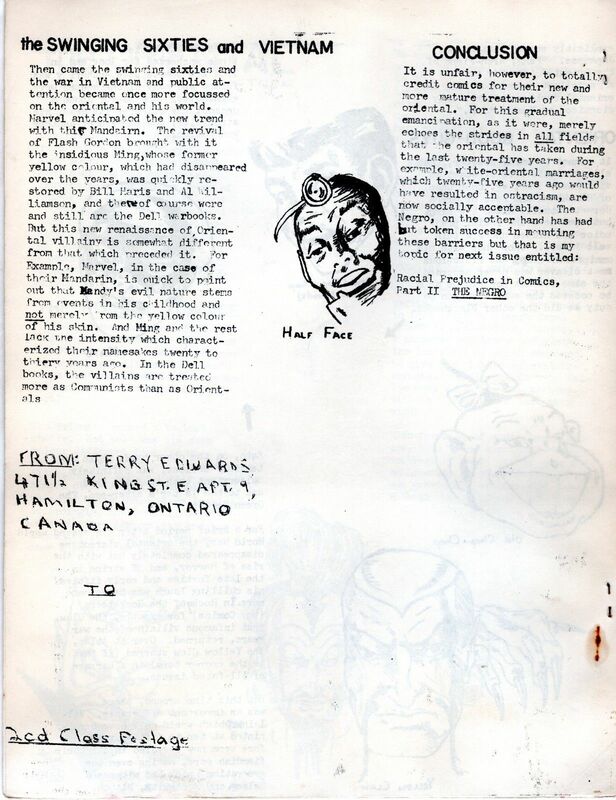 Instead, these rare Terry Edwards comics/fanzines from 1967 and 1968 respectively sold for around $200 CAD each. Pictures of the front and back covers of the Comic Canada # 1 and Comicanada # 2 that sold on eBay for around $200 CAD each in January 2018. What left us particularly surprised by these prices is that we have come across other books from this era and region of Ontario—that are arguably just as rare—from eBay and in private sales for a fraction of the price. 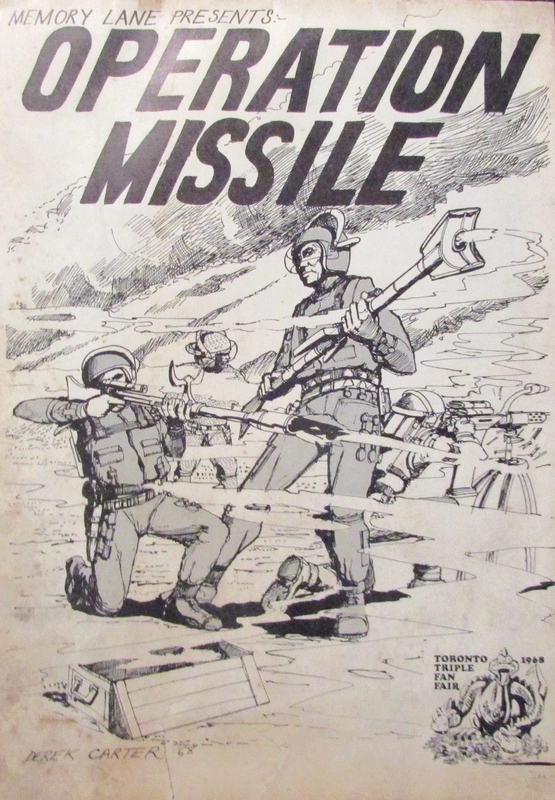 For example, I purchased a copy of Derek Carter’s Operation Missile on eBay in 2017 for around $40 CAD shipped and Victor was offered a copy of Canada’s Best Comics (which is essentially Vincent Marchesano’s successor to Comicanada # 2) in a private sale for much less than the prices realized here. Unfortunately, Victor hesitated and he missed out after the seller offered it to another client. 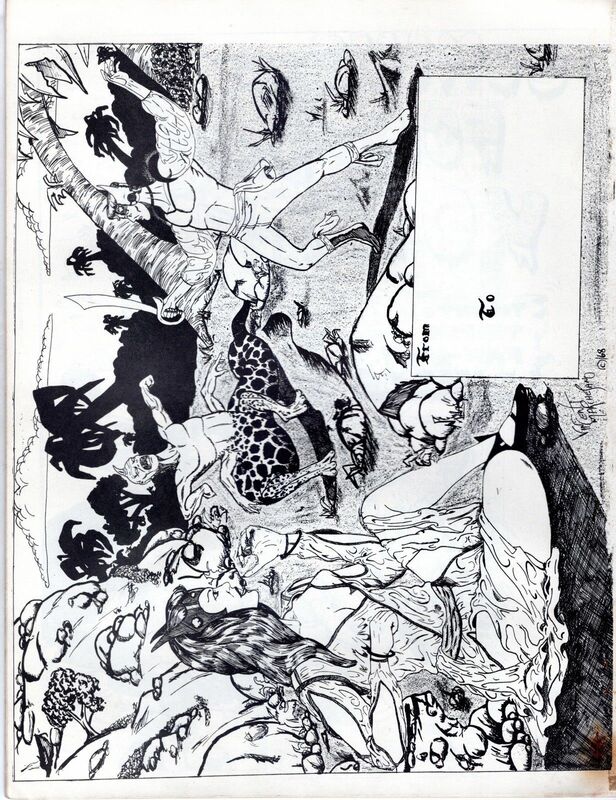 Going further, the pocket zine comics that Marchesano and Art Cooper produced in the early 1970s (The Spectrum, With Pen and Brush and Id, Ego…Aeon) are also quite scarce and look gorgeous, but sit on eBay and languish away for months and even years without buyers. Even the Operation Missile that I purchased on eBay in 2017 had been available for some time. At the time that the Comic Canada # 1 and Comicanada # 2 sold on eBay, I dismissed this as an example of people getting caught up in the fervour of speculating on Canadian comics (that I see as rampant in today’s market, particularly regarding Bronze Age price variants of American comics, but that’s a discussion for another day). Front and back covers of my copy of Derek Carter’s (1968) Operation Missile. My copy has condition problems, but this is a very scarce book that almost never comes up for sale. Then, in March of this year, another surprise price was achieved; this time for a Comic Page Features giveaway: Colonel Ernie Comics # 1. 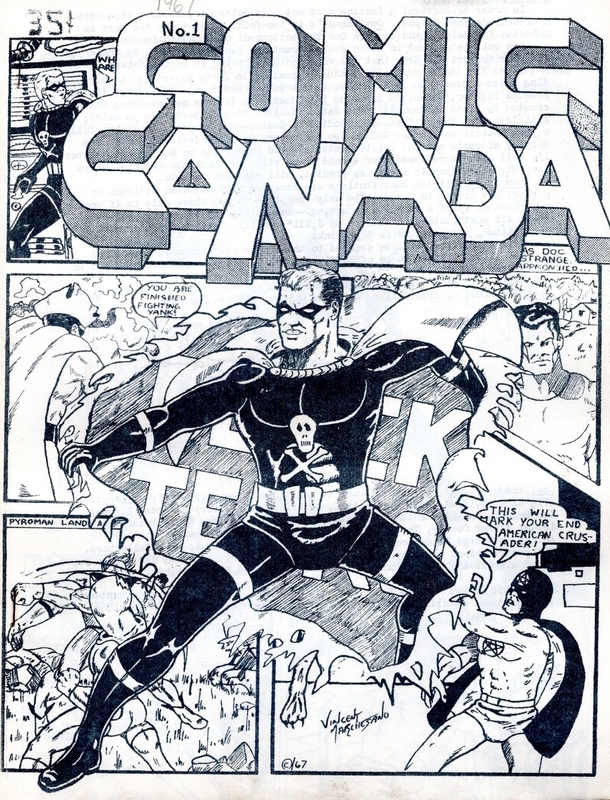 I have been tracking the comics produced by Owen McCarron, Robin Edmiston and Bob Chambers under the Comic Page Features and Comic Book World imprints since I first started getting interested in the Canadian Silver Age and happily own several of these comics (including Colonel Ernie Comics # 2). These are hard to find, even in Atlantic Canada, but in my experience, there has been a general lack of interest in these giveaways (as well as those produced by Ganes Productions in Ontario). The Colonel Ernie # 1 that sold on eBay in March 2018 went for approximately $186 CAD, which is the highest price I have ever seen achieved for a Canadian giveaway comic from this era. 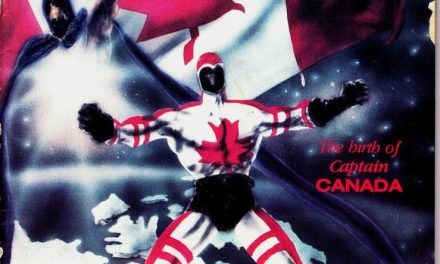 Again, I found myself wondering if this was the result of what I see as an increased fervour around Canadian comic book speculation. 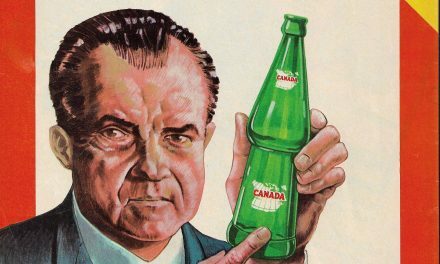 In this case, the seller wisely included the word “Canada” in their item title. 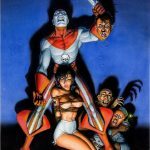 In reality, Ganes and Comic Page Features/Comic Book World books show up on eBay from time to time and tend to languish for months without a sale. They often sell for $20 CAD or less when a buyer finally steps up to the plate. The Kentucky Fried Chicken connection also makes this a crossover collectible amongst KFC enthusiasts, but I still see this as an incredible price that may not be matched anytime soon. The biggest surprise for me is that these are only some examples of a shift in interest towards comics from this era. People seem to be hungry for Canadian comics and this is no longer the exclusive domain of WECA (or even FECA) collecting. 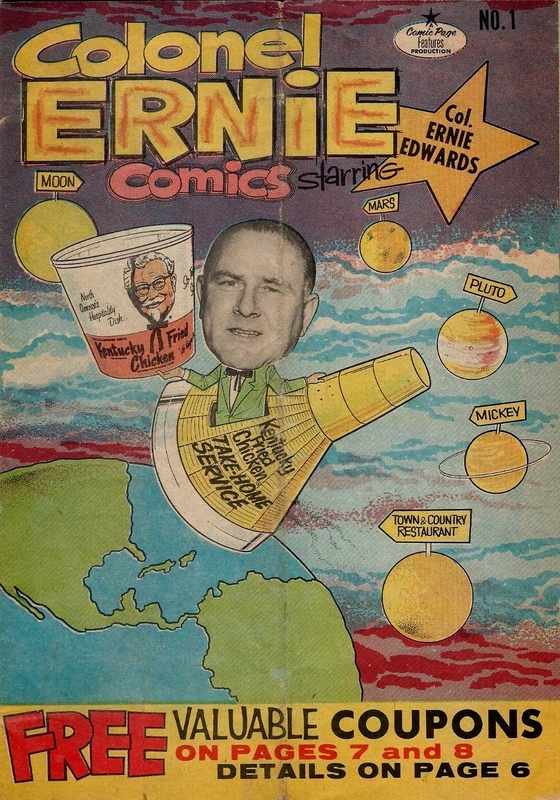 Comic Page Features’ Colonel Ernie Comics # 1 and 2. This is the scan of the # 1 that sold on eBay this year for $186 CAD. I paid $2 CAD for my # 2 from a dealer who was happy to get rid of it as it had been sitting in his inventory for years. As a side note: If you come across either of these, make sure to check for the coupons (which are usually missing). In October, several original Julie Doucet Dirty Plotte minis came up for sale on eBay.com. I missed them because they did not show up in my searches on eBay.ca, but Dan found them and was quite surprised by the prices they realized. 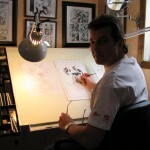 The seller had the first seven issues of the first volume, several issues of the second volume and the rare Cold Vomi comic that Doucet published with several other Montreal-based creators. All of these comics are exceedingly hard to find with each issue having print runs of only 150 to 175 copies. The first issue sold for over $200 CAD, while issues # 2 and 3 sold for $100 CAD each. The other issues sold for significantly less, with Cold Vomi selling for under $15 CAD. Dan was surprised by the high price achieved for some of the earliest issues, but I was more surprised by the low prices achieved for the other ones. I consider Dirty Plotte to be one of the seminal Canadian comics of the 1990s, but most of the Drawn & Quarterly stuff reprints the minis. Dan and I both own issue # 1. I purchased mine from a book store in London, Ontario in 2016, while Dan received his as a freebie many years ago. Ultimately, I was disappointed to miss out on adding some of these comics to my collection and would have paid more than the sale price for some of them if I had been paying attention. Nevertheless, the price realized at auction for issue # 1 shows that there is a strong market for certain minis from the 1980s. My copy of Dirty Plotte # 1. 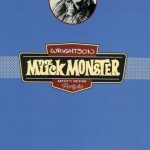 This comic crosses between collecting strains, as it may appeal to collectors of Quebec Comics, small press comics and even Underground Comix. Perhaps the utility of ownership is at play here. Perhaps this is uneducated speculation. Perhaps there are other explanations. In any case, prices for rarer Canadian comic books from the Silver Age are steadily rising. On eBay, this seems to be most apparent amongst comics that have the words “Canada” or “Canadian” in the title. The problem is that few collectors have a roadmap to decipher what is really rare or significant. I also suspect that people are starting to purchase these books without understanding the context through which they were made. 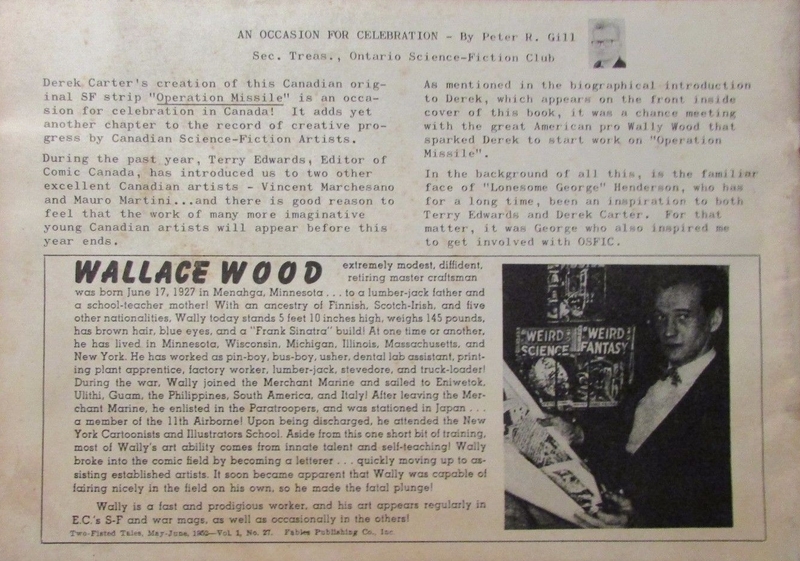 Comic Canada # 1 and Comicanada # 2 are significant because the Terry Edwards/Vincent Marchesano/Art Cooper connection and are early examples of the strong comic scene that originated around Hamilton, Ontario in the late-1960s. 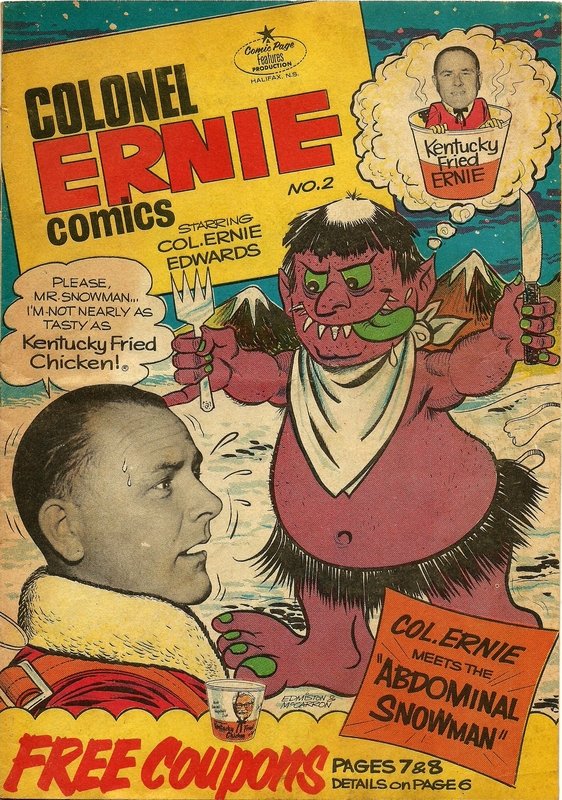 Colonel Ernie Comics # 1 is comparatively insignificant. It is not the first comic produced by the McCarron group, it is not the rarest and it is certainly not the most interesting comic that they created (though it is fun). The fact that a year ago I purchased issue # 2 for $2 CAD from a local dealer who had had the comic in his inventory for years with no interest from buyers is telling. I worry that the price achieved by Colonel Ernie # 1 may be an outlier. Until another one surfaces and sells for a similar sum, I have my doubts that this price can be replicated. The Julie Doucet minis, however, are a significant part of the late Silver Age and it should not be surprising that there is a strong market for them, especially considering their low print runs and the importance of Dirty Plotte in the history of Canadian comics. One thing is for sure: there is a shift in interest towards buying Canadian comics amongst collectors and this is a growing trend. Holy swizzle stick Deano! brian, you are certainly a fine addition to the CBD team! This is an important period in my own brief comics career, so I have a good deal of interest in your research. It’s so cool that two doctors are now contributing to this body of knowledge. You’ve definitely earned a place alongside John Bell, Bob MacMillan and Ivan Kocmarek, the greats of Canadian comics historical research! And, now that you and I have begun our correspondence, I am happy to say I can count three of you guys among my friends! As you now know, I dabbled a bit in the mini comics format myself and have a nice selection of minis by the likes of Chester Brown (Yummy Fur And the very rare Sudden Panic, his collaboration with Harvey Pekar, inscribed to me personally, with even a little Chester Bunny drawing. Very cool), John MacLeod (Dishman, most of which John was kind enough to just give me after I sent him a comp of my last work In Growing Up With Comics from Desperado Publishing in the U.S. of A. Yes, I went on to do Yankee published material in desperation, including short slice of life stories for Caliber Presents and Negative Burn) and a ton of Colin Upton’s ’70s minis, which Colin was kind enough to send me. If you contact him, he will sell you about 80 of these books (the lad was prolific indeed) for only about $30. My own particular favourites of Colin’s are the two issues of Canadian Splendour (note the spelling), #1 being about his first meeting with Harvey Pekar and #2 being about his reaction to the death of Harvey. These are wonderful comics and readily available because Colin keeps everything in print. A while ago I did Email interviews with all three of these guys, and they were very gracious and helpful indeed. Don’t ever be afraid to contact these people, every one a mensch. Although, from what you have told me by Email, many of the mini creators are embarrassed by their work and have either destroyed their archives if they ever kept them, or lost them to fire or just moving around. What a shame for our historians! I personally look forward to many more of your posts in the future and our continued correspondence.. and, by the way, Your package of freebies will be in the mail tomorrow! P.S. I’m afraid in our Emails I totally forgot to ask you what your doctorate is in. Just curious. Thank you for your kind words, Mel. I am flattered, but I don’t think that I have done nearly enough to be mentioned in the same breath as John Bell, Ivan Kocmarek or Bob MacMillan. Hopefully, in time, I will be able to present enough material to earn such a distinction. For now, I am just happy that Scott and Walter have given me an opportunity to share the information that Dan, Victor and I have been compiling for the past couple of years. There is certainly much more to come. 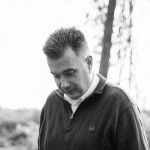 Colin Upton is perhaps the most prolific of all of the mini creators from the era. Kenny Moran might be the next closest (but it really isn’t close). Upton’s standalone minis are impressive, as are some of the compilations he worked on with other Vancouver creators, such as New Reality. I should take your advice and reach out to him (I definitely have been meaning to). Of course, Chester Brown is one Canada’s comic book superstars. His original minis are not quite as scarce as Julie Doucet’s (as his had multiple print runs), but they are definitely not easy to find. Sudden Panic is rare enough that I have never seen a copy. Brown’s numerous collaborations from Kromalaffing to Lump Soup Sciolpluileas (and even later works such as You’re Short, Bald and Ugly Charlie Brown) are all delights in and of themselves. Dishman, too, is a lot of fun. 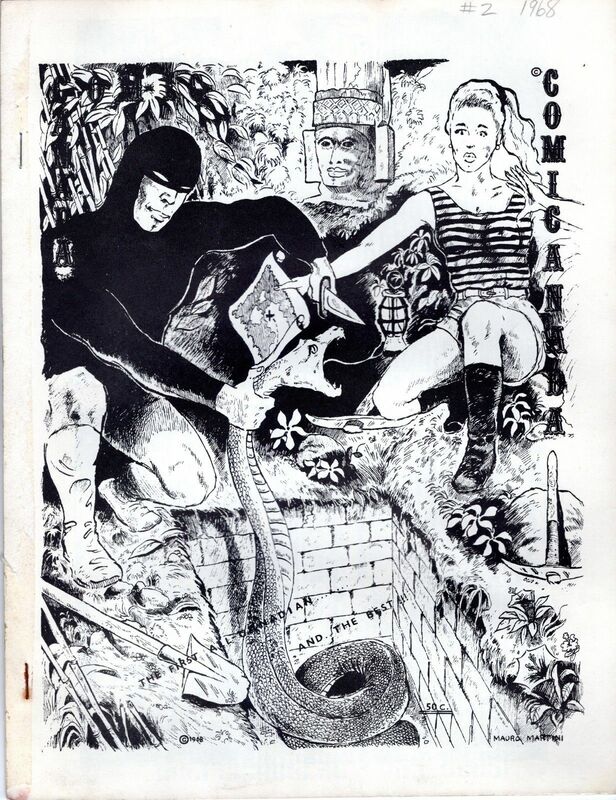 In actuality, the comic creators who I mentioned to you who destroyed or divested themselves of their comics tended to be from the Underground era. I sent you some examples via email, which I will save for a later column (or columns) here in CBD. P.S., my PhD is in cultural anthropology. My doctoral research focused on informal entrepreneurship and the used goods trade at a flea market and group shop in Halifax, NS.